Should Rome be Done in 4 Days or Less? In my humble opinion … NO! Rome is more than a city, more than a tourist destination, more than the sum of its parts. 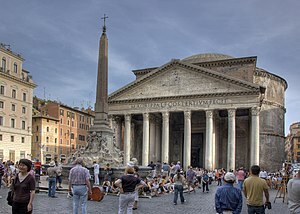 Rome is about the sights, the buildings, the ruins, the architecture, the people, the food and the wine. It is life. When you visit Rome take time to know it. Forget visiting 10 Italian cities in two weeks. Visit Rome for a week. You can take two side trips: 1) Orvieto and 2) Pompeii. Walk the city, watch the people, eat the food (not at tourist places) and drink the wine. Watch as families break for a long lunch and walk together afterwards. Savor the smells of the food, the tastes. This is Rome. The Rome I love. 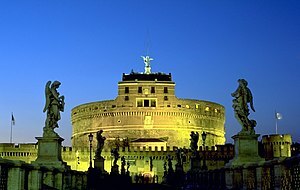 The monuments are important but they are not what makes Rome a wonderful city. It’s the people, the architecture, the small streets and the hustle bustle of a big city. Try not to go in July or August. It is too hot. August is European vacation time and everything is expensive and crowded. May or September are better summer months to enjoy Rome. We also went Christmas week and saw a new side of Rome. The lights, the festivities and the decorations. Travel light, Don’t take tours and enjoy yourself. Become a Roman even if it’s for only a week. 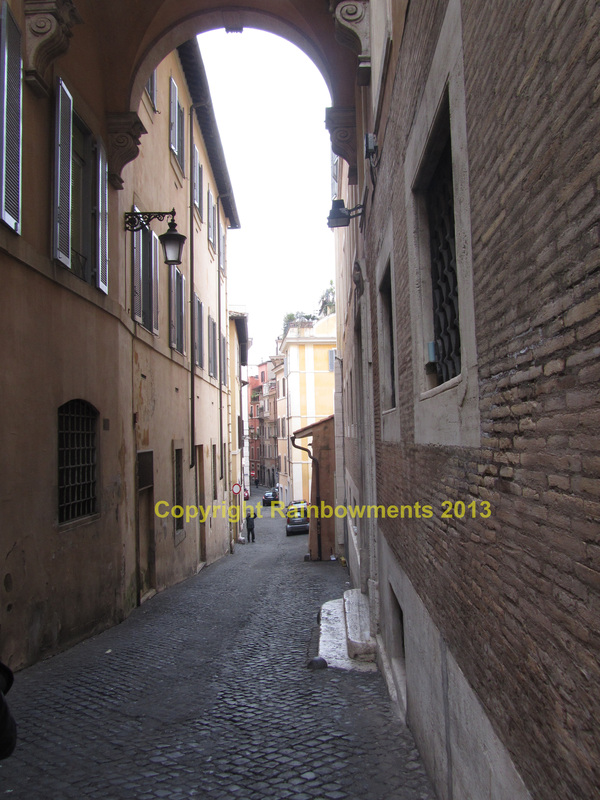 We love walking small streets in Rome or most small Italian cities. Many of these streets are pedestrian only. They can be crowded in the summer but wonderful off season. Never go to Europe in August. Everyone is off that month and everything is hot & crowded. We were in Rome for New Years eve and day. WOW what a fun place to be. We wore jackets but it wasn’t really cold. Everyone was drinking champagne and enjoying themselves. These streets look abandoned late at night as all the shops are closed but during business hours they are magical with activity. Find your favorite city, restaurant and tourist attraction and enjoy it.